Ceres Power Holdings Plc (LON: CWR), has today announced completion of two key commercial milestones with Robert Bosch and Weichai Power this week and as a result, provides a trading update ahead of results for the six months ended 31 December 2018. · As announced on 4 December 2018, Ceres has now finalised the long-term strategic collaboration with Weichai, first announced in May 2018. 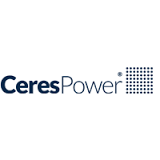 This includes signing a new £9 million joint development agreement, up to £30 million in stage payments under a License Agreement and has triggered a further £28m equity investment into Ceres Power, which is due to complete shortly. Once complete, Weichai’s total investment will be £48 million for a 20% stake. The company is also progressing with other OEM partners on multi-year programmes and will provide further updates in due course. Ceres expects to announce first half results in March 2019. “We’ve had a very strong end to 2018 which means we expect to more than double revenue this year. This is on the back of strong progress with our strategic partnerships with Weichai Power and Bosch where we have met stretching technology and performance targets which continue to give our partners the confidence in taking our technology forwards towards commercialisation. This has enabled us to grow the business in the UK and also extend our markets internationally.